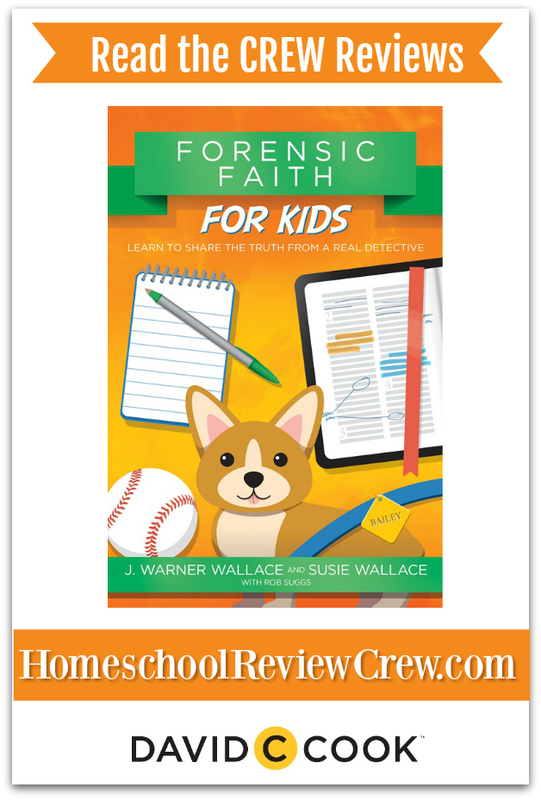 We recently had the opportunity to review a new and innovative product from David C Cook and Case Makers Academy - Forensic Faith For Kids which was written by J. Warner Wallace and Susie Wallace. What a great way to let children look deeper at their faith in God. 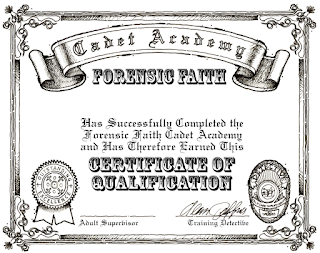 Learning forensic science is very interesting for many kids. Television shows on the subject really made this a big deal. 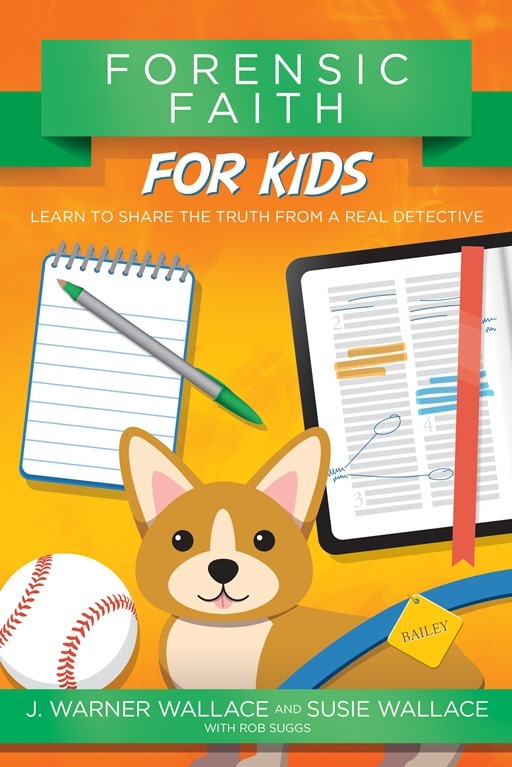 J. Warner Wallace and Susie Wallace really delivered with this series to help kids learn how to be detectives and learn more truth about God and the building of their own faith. The kids get to learn to be a detect from a real detective!!! 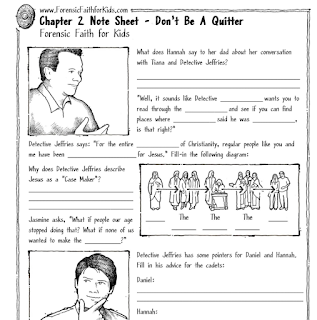 The story Forensic Faith For Kids was written for children/families to read and review together. I would suggest independent reading level be around 4th grade (depending on your child's levels). And Forensic Faith for Kids is just that.... the story of Daniel and Jason who are searching for the owners of a lost puppy, Bailey. But Hannah has a friend who has challenged her faith, and wants to see proof about Jesus. How will these three be able to defend their faith and find Bailey's owner. One of the great benefits of using Forensic Faith For Kids with your kids, you are not left alone. The authors has created a whole internet page with helpful worksheets and videos. Each chapter of Forensic Faith For Kids includes a roughly 5 minute video from the authors giving helpful tips on how to solve the struggles that the kids are going through. Also there is a downloadable, Academy Notebook for kids to work their way through in each chapter. Each chapter has a page for their Academy notebook to complete. Also they have created fun pages, or Trainers Activities that include word searches, drawing from the chapter, etc. Just something extra for the kids to do. These are great for younger ones. You can use them while you are reading each chapter aloud with the kids. The Trainers Activities helped to keep the girls attention focuses on what we were doing. But throughout each chapter there are CSI Assignments that direct your children to their copy of the Bible. The Academy Notebook pages are well written comprehension questions to go along with each chapter. But just in case you as the parent may be struggling with going through this material, the authors helped you out there also. They have provided Leader Guides for you. If you are allowing your child to use this book independently, maybe you did not actually read the chapter, but you want to check your child's comprehension of the material. The Leader Guide includes information about what is happening in each chapter, and the important points. Also included are "draw-out "questions. I call them this because they are conversation starters that draw out what your kids have been learning and feeling. There are many options to help you instill the information into your child's mind and allow them to let their heart follow the truth they are learning. 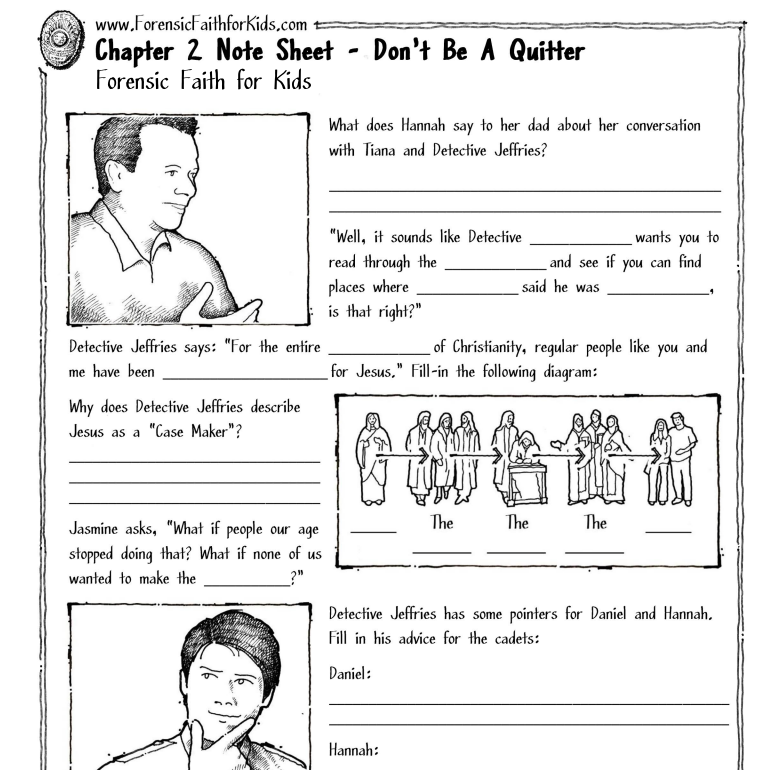 Forensic Faith For Kids can be used for not only personal family use, but also with small group study in youth groups. Each child will need their own copy of the book. Included with the book is access to the webpage that gives you ability to print out each chapters pages. At the end of their reading, there is also a graduation list. You and your child can check to see if they are ready to move forward to the other books in this series that include Cold Case Christianity for Kids and God's Crime Scene for Kids. Each chapter can be covered in about a week for a real study factor. You can easily set your own pace. Some families could complete the study in just a couple weeks, since there are eight chapters in the book. It just depends on your child's level and what challenges they are facing in their faith. When your student has finished all the qualification, you can also print out a Certificate of Qualification for them to show all their hard work and study! 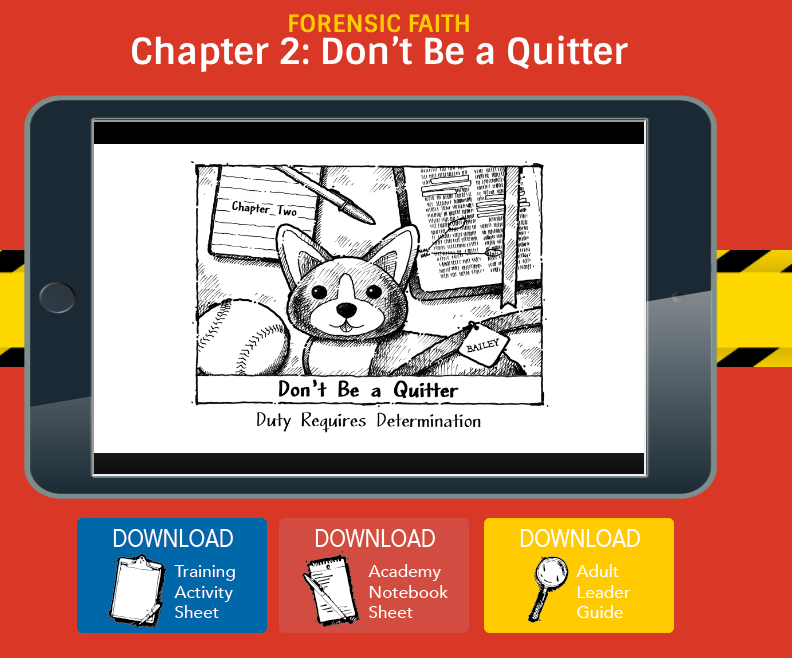 Forensic Faith For Kids is a great option for families and youth groups to really open their hearts to Jesus and strengthen their faith for the many challenges that they will face! 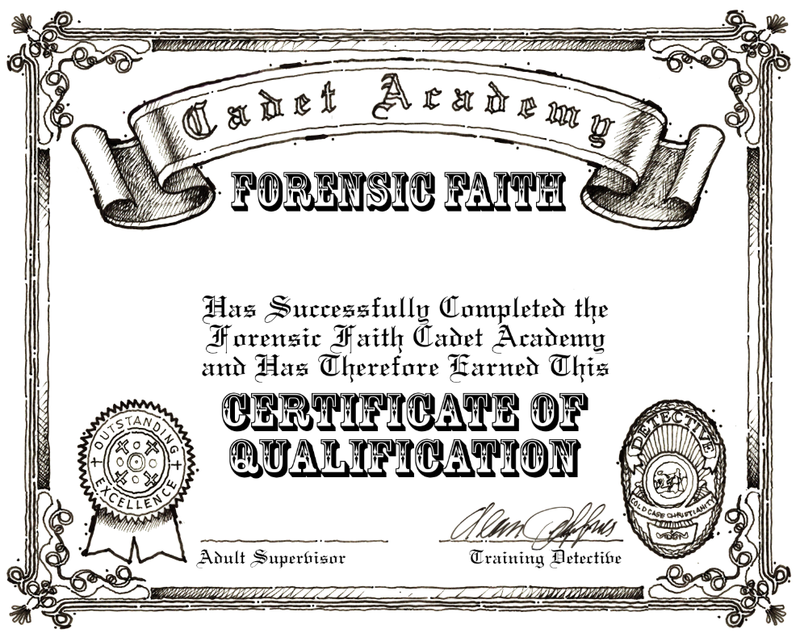 Several members of the Homeschool Review Crew were given the opportunity to review Forensic Faith For Kids. Visit the link below to see how they used this book in their classroom, studies and even youth groups.